While there’s a lot to love about the Samsung Galaxy S8 series, the two most heavily anticipated (and marketed) aspects of the new flagship series have been the gorgeous infinity display and Samsung’s very own digital assistant, Bixby. Unfortunately, the latter of these features has still yet to roll out in full, voice-supported glory — at least for those of us outside of a few specific regions like South Korea. That is, until today. Samsung first introduced Bixby voice support to US-based beta testers back in late June, but now a new update is rolling out to these testers that will graduate the Bixby EAP (Early Access Preview) app to the full consumer edition, which – you guessed it – comes with full voice support finally. For those that aren’t Bixby beta testers? Don’t worry, you aren’t being left out of the fun. According to Samsung, the rollout will begin immediately for all owners of the Samsung Galaxy S8 and S8 Plus in the United States. Keep in mind that while the update should be rolling out right away (as soon as today for some), it’s hard to say how quickly it will reach all S8/S8 Plus owners. Updates like these are often released in waves, so don’t be surprised if it takes a day or two to reach you. We’re excited to see that Bixby is finally getting some of the core features that users were promised back when it was first hyped up in late March, but at the same time, we can’t help but be a little disappointed that it took Samsung this long to release what was supposed to be one of its most important features. 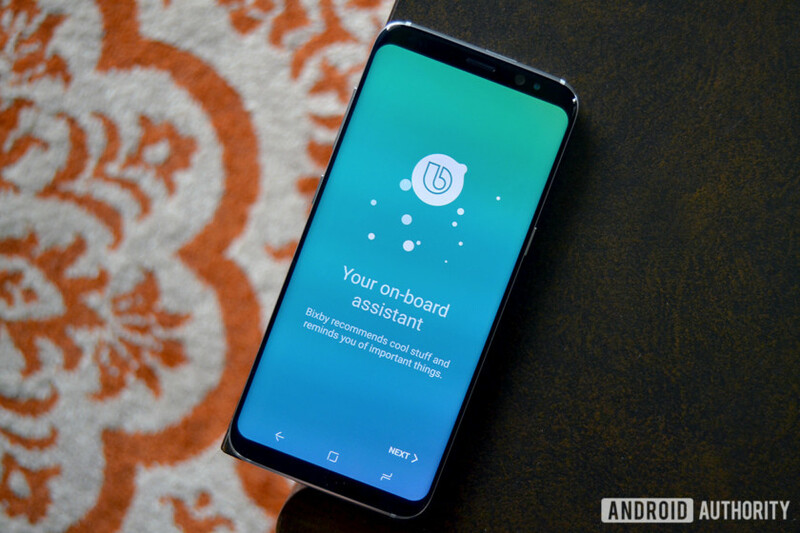 The not-so-successful launch is exactly what prompted our own Jimmy Westenberg to give the Galaxy S8 family a pass, and we imagine there are other consumers that were also put off by how Samsung handled its in-house assistant. Even now that it is here, it’s debatable whether the feature even matters as much, as Google Assistant continues to expand in functionality and can easily be installed on Samsung’s flagship. Of course, Bixby or not, the Galaxy S8/Plus remains one of the very best phones you can buy right now. What do you think, do you care about Bixby and its delayed launch? Or are you just happy Samsung waited until it was ready before putting it out? Let us know your thoughts down in the comments.